Benjamin Dahl mit SmallCaps auszeichnen? Frank Grießhammer … and use underlining to emphasize. 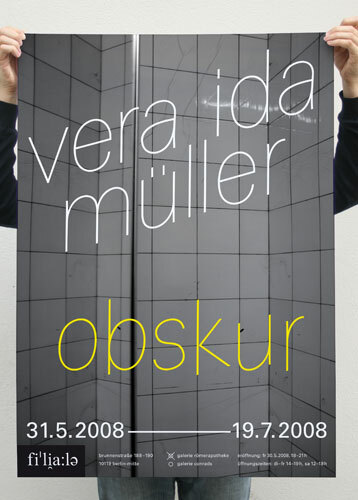 Nina Stössinger Wow :) How bout 2 fonts, like serif & sans? Or can you get by with no Auszeichnungen at all? André Mora or +2 points, that always does the trick! Niels Heidenreich Different colours? ;) Like in the Neverending Story! Jesse Ragan Get crazy: +/- point size. Make the whole book look like one of those obnoxious tag clouds. Erik Spiekermann here’s always colour, like taking a regular weight and making it 70% black, looks like light. Indra That’s what I did for the headlines, emphasize with white space but index et al will be fun. Tiffany Wardle de Sousa That is strange. Strange! No italics or bold to use an emphasis in an entire book? Jesse Ragan What about a typeface with a more subtle Italic, less disruptive? Yves Peters What about a less conventional combo? Serif/sans? Alas we settled on Meran already, no serif (not liked either) and I didn’t plan on using the condensed but we’ll see. Up to now I only did the cover and intro with distinction and emphasize by size, color (greyscale) and white space. Luckily it’s a photography book, so not that much text, but I’m already looking forward to the index and imprint. Jesse Ragan Set the whole thing in all caps, using lowercase for emphasis. Indra Jesse, you’re the man! Florian Hardwig Size is underrated (as in inline size changes, vertically centered). Or, stealing from Arjen, just use <em>unexpanded</em> HTML tags! Frank Grießhammer Not mentioned so far: individual letter rotation. Nick Sherman … also known as “rotalic”. Rob Keller Did someone say Rotalic? Scott Kellum This is amazing. Frederik Berlaen ufo2fdk simple ;-) Done with a 53 line of sweet python (for the outline rotation and writing the features) from any exiting font. Indra This is most hilarious irrelevant thread ever, I’ll encourage you as empathically as I can. Chris Lozos Was it e e cummings who is the client? Simon Robertson no suggestions, just i feel your pain. i have clients/co-workers here who have similar feelings. some hate serifs, some love them. etc etc. All the best! and I’d love to see how to resolve it when it done, if that possible?? Niels Heidenreich Fraktur would be pretty cool… but I guess they wouldn’t find it funny. Chris Lozos Looks like he is an Emil Ruder fan. See his book “Typographie”. Yay! Invigorated by such awesome tips gehe ich frisch ans Werk and will keep you posted on the progress. This entry was posted in Type and tagged book-design, facebook, geekery, twitter. Bookmark the permalink. Post a comment or leave a trackback: Trackback URL.